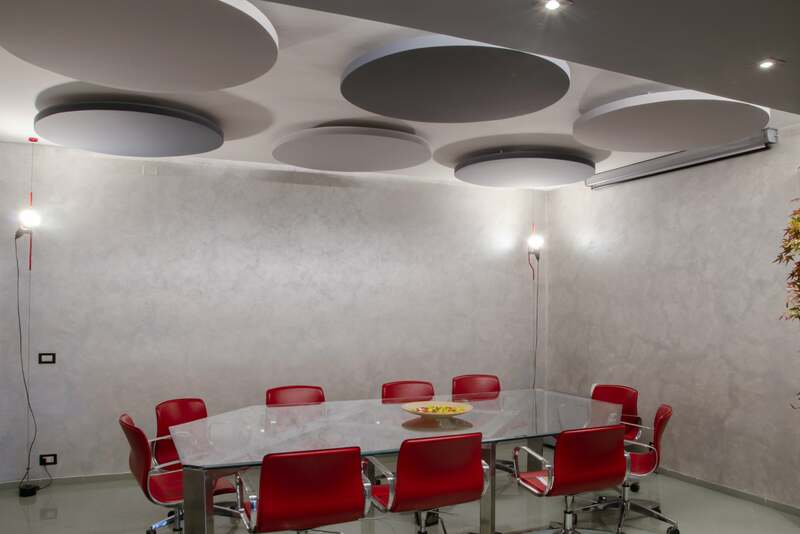 The acoustic comfort of a meeting room is an essential requirement for productive and efficient meetings. If you actively take part in meetings held in rooms with poor acoustics, you will inevitably suffer from greater mental fatigue. You will surely have found yourself in work meetings and, from time to time, have felt like you needed a break for a few minutes. This is a sign of the onset of mental fatigue. 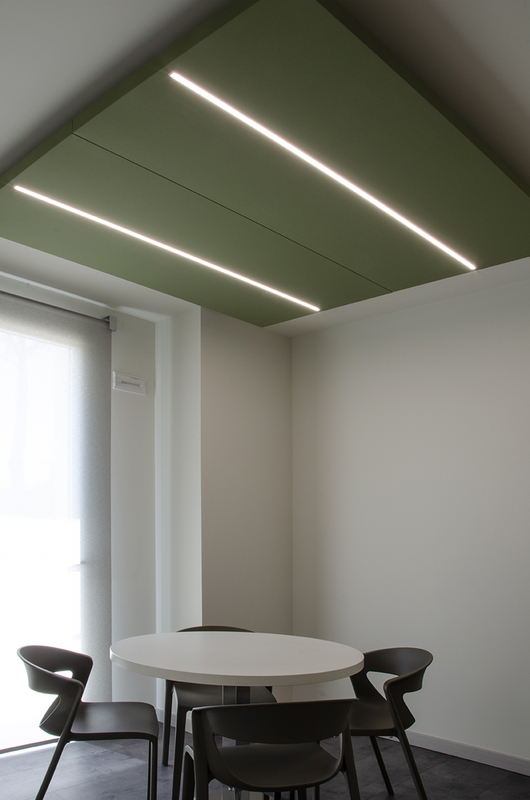 In this situation with the wrong reverberation times, problems can occur with the sound waves reflected off walls, ceilings and the ground overlapping with the incident sound wave, causing a clear loss of intelligibility, a difficulty in following any dialogue and the subsequent mental fatigue of keeping high concentration levels. 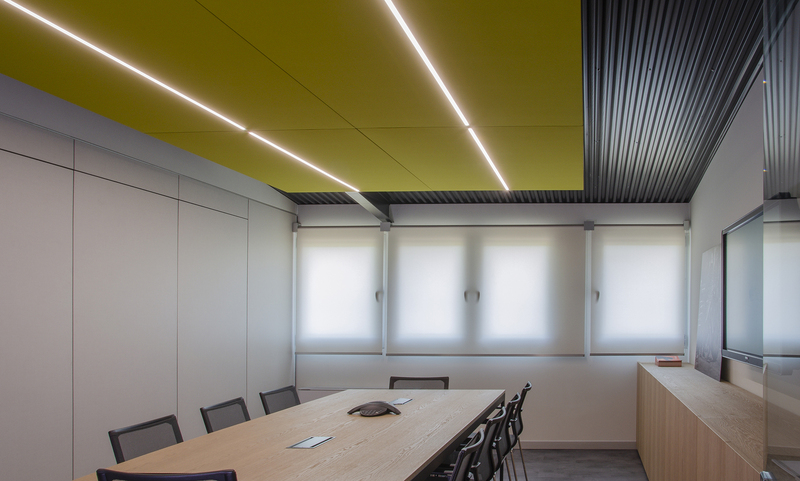 When designing a meeting room, we should pay the utmost attention to our choice of finishing materials to guarantee low reverberation times that are suitable for the activity taking place. 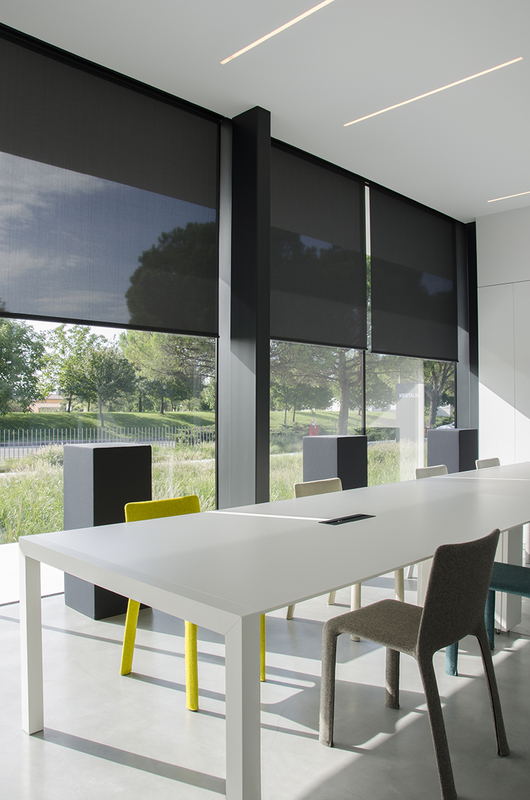 Nuvola suspended panels and Silente panels offer the perfect solution to this problem. 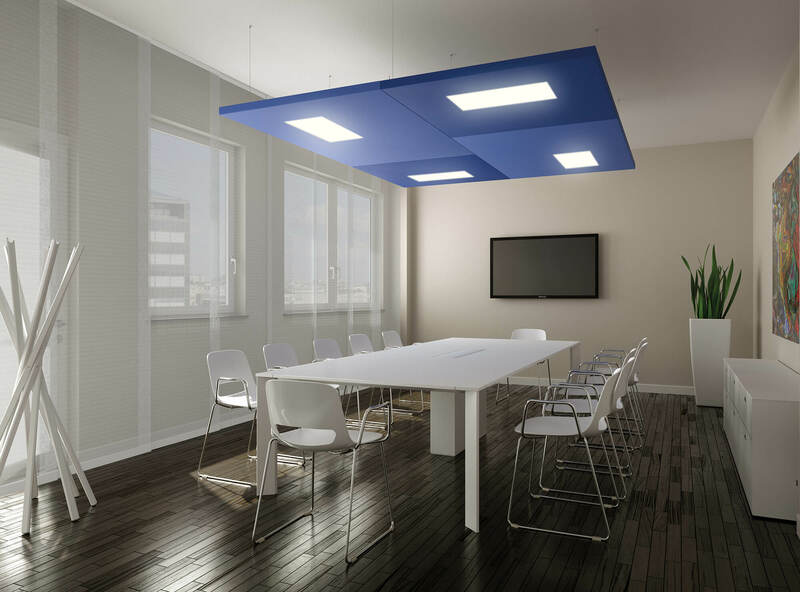 They can be installed on both walls and ceilings (including the elegant suspended version) to bring an appealing finish touch to settings. 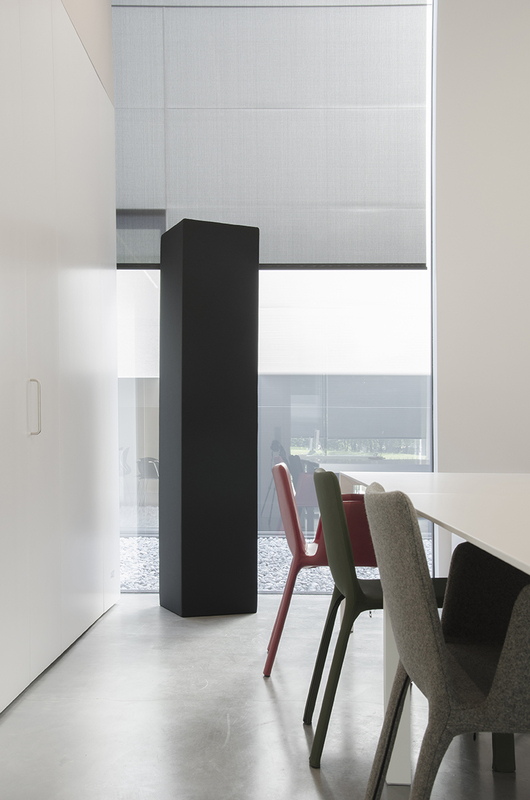 Their sound-absorbing property has been designed and tested to minimise any acoustic disturbances from speech or from playing any audio-visual material. 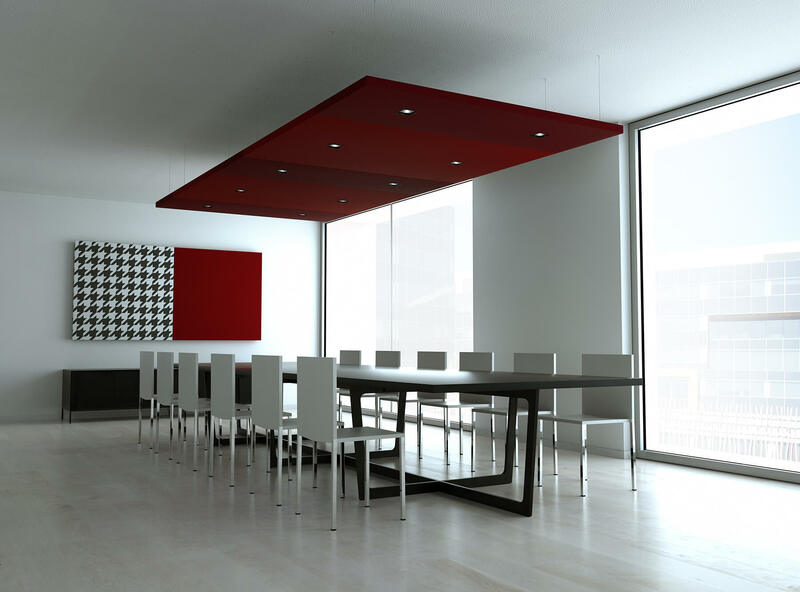 The option of choosing from various colours and sizes makes the panels perfectly adaptable to any space and to any type of furnishings already in the room.